Model/actress Rosie Huntington-Whiteley (Transformers: Dark of the Moon) looked comfy and stylish while in Heathrow airport recently. Loving her chain strap flats!! 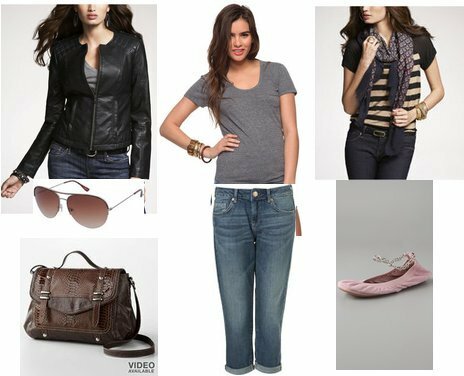 If you love Rosie's layered look, I put together a similar outfit with pieces from Express, Topshop, and Shopbop. You can click HERE for the flats, otherwise click on any of the images below for more information. Do you know the maker and style of her rolling bag? It looks so familiar but I can't find it online. I love the blue! ^My guess would be Goyard.